« Are all meditation techniques the same? Meditation is an alternative medicine modality prescribed by physicians to help individuals relieve stress and, at times, reduce pain. 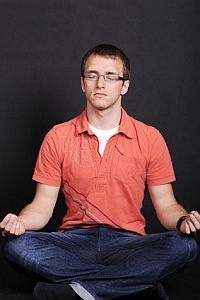 However, as Western medicine turns to meditation, doctors are learning that meditation incorporates a variety of techniques including methods that originated from Buddhist, Chinese, and Vedic traditions. And, just as the techniques vary in delivery, the clinical effects of meditation may also have a variety of outcomes. Automatic self-transcending—meditations that transcend their own activity—a new category introduced by the authors. Each category was assigned electroencephalogram bands, based on reported brain patterns during mental tasks. Meditations were then categorized based on their reported EEG. “The idea is that meditation is, in a sense, a ‘cognitive task,’ and EEG frequencies are known for different tasks,” said Fred Travis, Ph.D., co-author, and director of the Center for Brain, Consciousness, and Cognition at Maharishi University of Management. Focused attention, characterized by beta/gamma activity, included meditations from Tibetan Buddhist (loving kindness and compassion), Buddhist (Zen and Diamond Way), and Chinese (Qigong) traditions. Open monitoring, characterized by theta activity, included meditations from Buddhist (Mindfulness, and ZaZen), Chinese (Qigong), and Vedic (Sahaja Yoga) traditions. Automatic self-transcending, characterized by alpha1 activity, included meditations from Vedic (Transcendental Meditation) and Chinese (Qigong) traditions. Between categories, the included meditations differed in focus, subject/object relation, and procedures. These findings shed light on the common mistake of averaging meditations together to determine mechanisms or clinical effects. “Meditations differ in both their ingredients and their effects, just as medicines do. Lumping them all together as “essentially the same” is simply a mistake,” said Jonathan Shear, Ph.D., co-author, professor of philosophy at Virginia Commonwealth University in Richmond, and the author of several books and publications on meditation. “Explicit differences between meditation techniques need to be respected when researching physiological patterns or clinical outcomes of meditation practices,” said Dr. Travis. This entry was posted on July 21, 2010 at 11:56 am and is filed under Articles, Health, Maharishi University, Peace. You can follow any responses to this entry through the RSS 2.0 feed. You can leave a response, or trackback from your own site.